One of the questions we get asked all the time is “where should I look for a domain name?” and “who is the best domain name provider?”. Well in our opinion, it’s DS Domains. We are partnered with domain name provider DS Domains, who offer an exclusive service to theimagefile. So why should you use them? Normally, when you purchase a domain name you are entitled to a free email account with the domain name company’s affiliated email provider, for example, hotmail.co.uk. However, Gmail is arguably the most desirable email software to use. With a domain from DS Domains, it’s always easy to have an email with Gmail. But what makes Gmail so special? Gmail blocks spam before it gets to your inbox and if unwanted messages ever find their way through, you can fight back by reporting it and making a spam filter. You don’t have to waste time sorting through your emails as Gmail allows you to search for a message when you need it. Each message you send it grouped with all the responses you receive to make one seamless conversation. You can increase organisation by creating labels so you don’t have to choose a particular folder, create a filter to manage incoming mail and star messages that are important. Gmail is completely mobile friendly so you can access your emails easily from wherever you are. You get a large amount of storage space with Gmail and if you need more you can always purchase some. Gmail keeps your mail secure and is one of the most trusted email providers out there. We understand that most businesses now want to have an email address including their domain name. This is included with your DS Domain domain name. So why would you want your domain name in your email address? It keeps your personal life personal. The majority of people use personal information such as a nickname, birth date or address in their email address, and this is information you probably don’t want to share with a potential client. It looks more professional. Most of us feel like we are dealing with a legitimate business if we have to contact a business email address. After all, which looks more professional; embarassingnickname@hotmail.com or hello@yourphotography.com. It puts your brand in front of clients again. When you’re running your own business, you’re constantly switching hats – from customer support to website maintenance to social media manager. To make things simpler you want to keep things as simple as possible and that means keeping as many things as possible in one place. 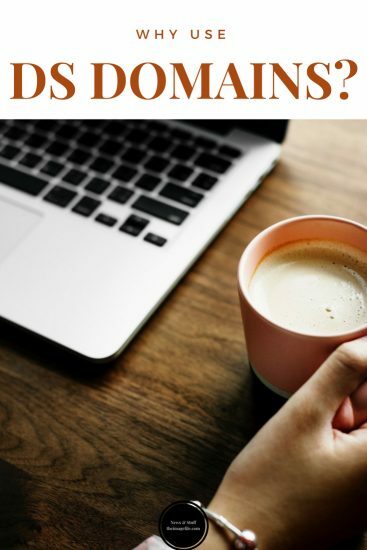 By using DS Domains you can keep all your domain name information and management in the same place that you manage your website. How simple is that?